Give your landscape and nature photographs more emotional potency by creating a narrative between a single subject and its environment. Landscape photographers face a unique challenge in trying to simplify their images when there is an infinite amount of subject matter to try and compose in a single cohesive image. A great way to focus your pictures into well composed and poignant works of art is to establish a primary subject and capture the role your subject is playing in its surroundings. 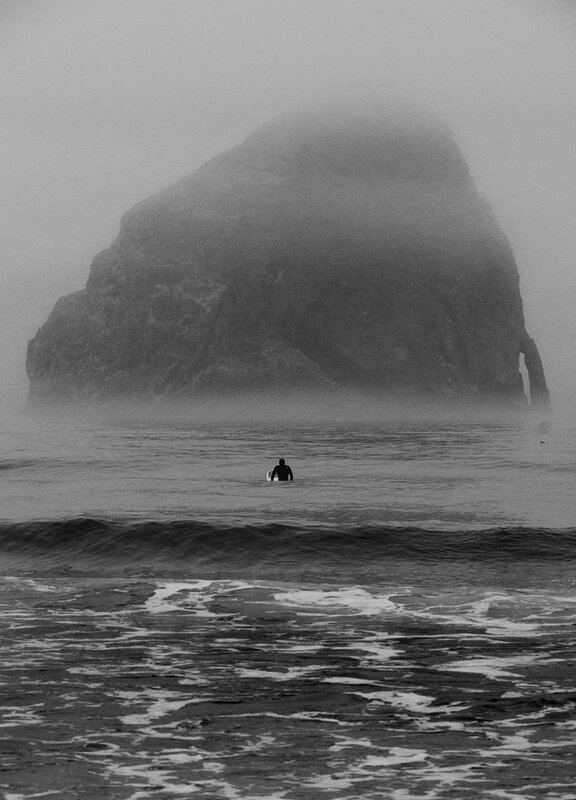 The single surfer in the water facing the large rock creates a story. In an image like this, it’s easy for the viewer to make an emotional connection by imagining him/herself as the surfer. This example works well because there is a human subject used, but the same principle can be applied to just about anything. I chose not to zoom in close on this seagull. 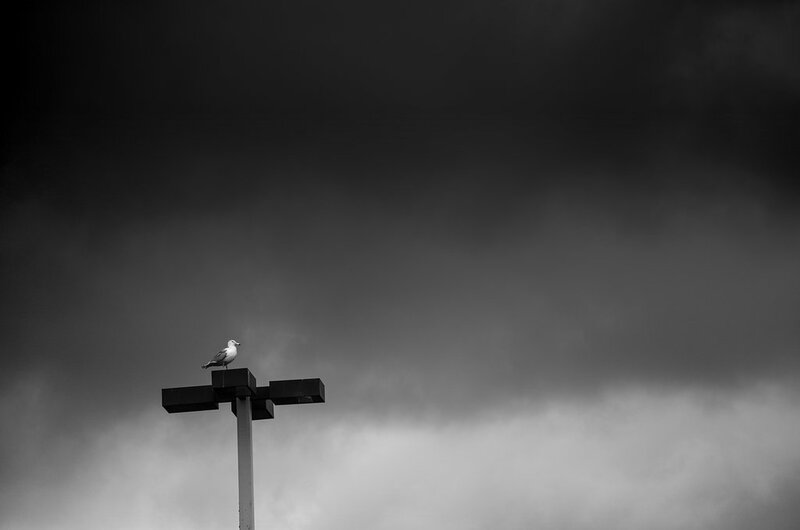 Instead, I gave the bird plenty of room and placed him resting surrounded by plenty of sky. I prefer the feeling of a free bird over a caged bird and by giving the primary subject plenty of space to breathe, the desired feeling was conveyed in this photograph. A leafless little tree isn’t the first thing that pops in your head when you’re thinking of ideas for nature or landscape photography. 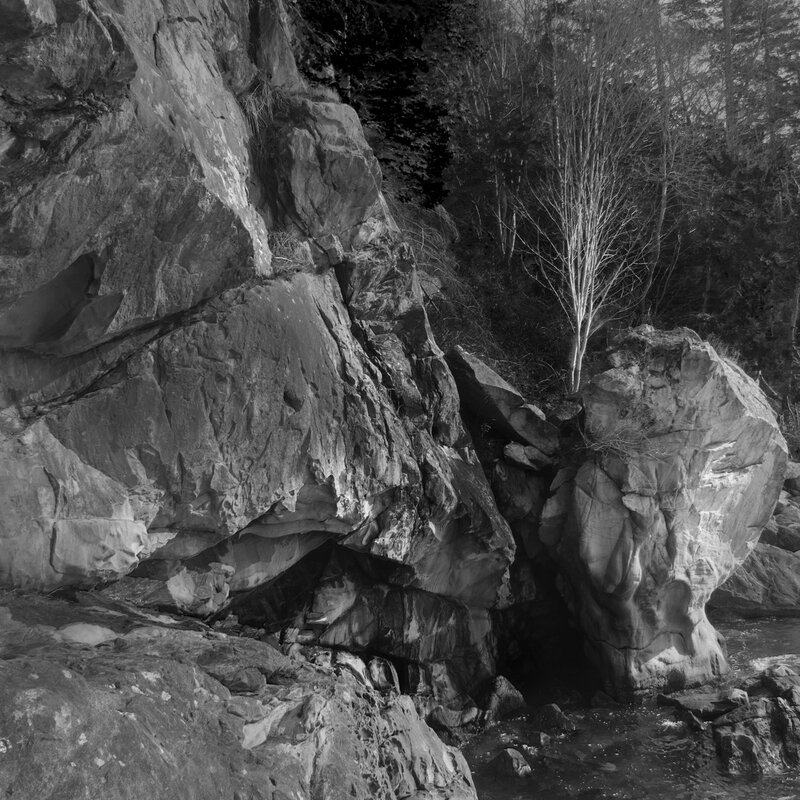 Here I composed around a single leafless tree that is wedged in a coastal rock. By itself, the tree wouldn’t have given much of a narrative. However, shown here growing out of rough and lifeless rock, the viewer can see the persistence of life; a young tree starting life with a strong and solid foundation. Challenge yourself to find these narratives. Having a story or an analogy in mind when shooting a photograph will make you grow as an artist. A technically sound photograph will always be admired, but the image that makes an emotional connection will be remembered. Great post that gives the landscape photographer food for thought. Wonderful examples too! I appreciate that, thanks for stopping by! Please stay in touch, I am planning to feature others on my page and do interviews with other photographers soon.